For the modern man who means business. 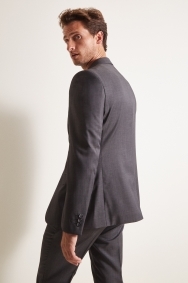 Add style to your working week or busy weekends with this tailored Pindot suit from Ted Baker. 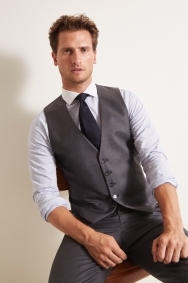 The charcoal-grey hue is easy to wear and suited to a range of occasions, whether it’s that all-important interview or an after-work party. The tailored fit is stylish and practical, carving out a defined outline without feeling restrictive. Team this jacket with the matching waistcoat and trousers to really up the ante, and opt for a silk patterned tie to lift the grey. A classic white shirt goes best with the jacket’s elegant tailoring. As above - fits lovely and all spot on. You can never fault a Ted Baker suit on style and quality. Only lost a star because the suite (jacket and trousers) came up very small, even when I took a size larger that I do from other labels. Great quality, and value for money. 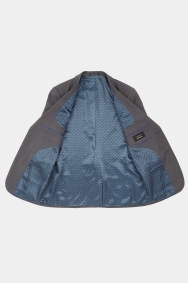 Good quality suit bag. Useful. I've always been a bit 'anti' Ted Baker suits from the days when they used to make them a bit too funky by putting odd detailing on the collars and things. I gave this a try as I was in a rush and it was the right size. 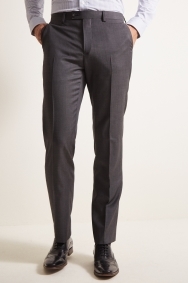 It's a quality fabric, well tailored and looks as good as the Boss ones I tried on. Nice but a little too tight. My fourth Ted Baker tailored suit. 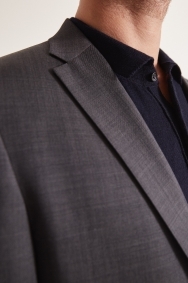 Unbeaten so far by any other suit for style, fit and comfort. Worth every penny. Just how i hoped it would be. Suit was an excellent fit and the store really looked after us and gave us time to try different styles and colours as had a really good range. A fine jacket that compliments the waist coast. Jacket fits really nice, suit lining colour teansfered onto white shirt.